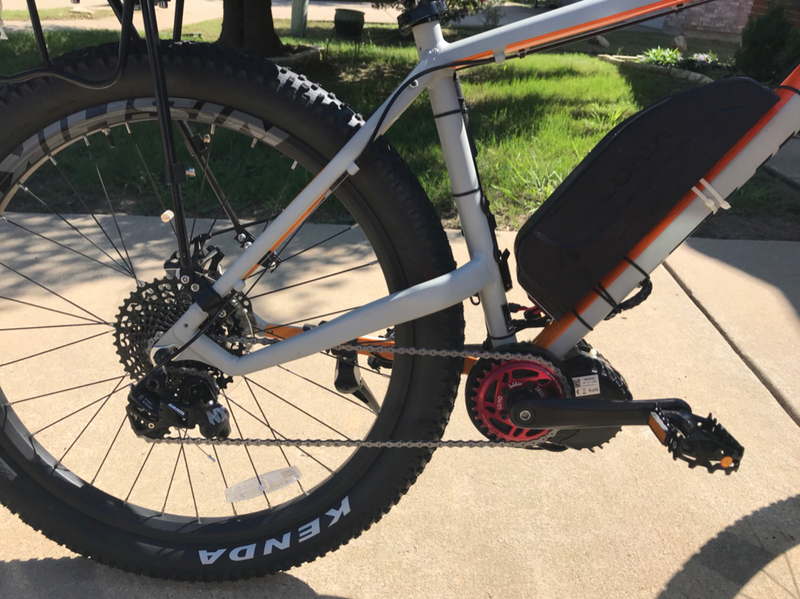 33mph on fat tires and will conquer any hill without pedaling. 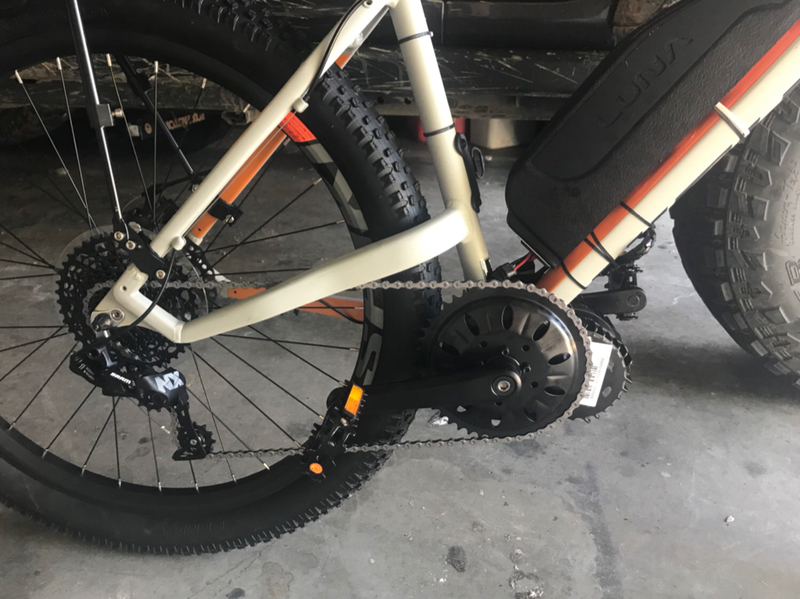 BBSHD mid drive motor. More power than the quiet kat and less than half the price. Got a video but is has obscene language. I’ll do another soon. What kit was that? Thinking about doing the same. TAGGED! More info please! This is awesome! 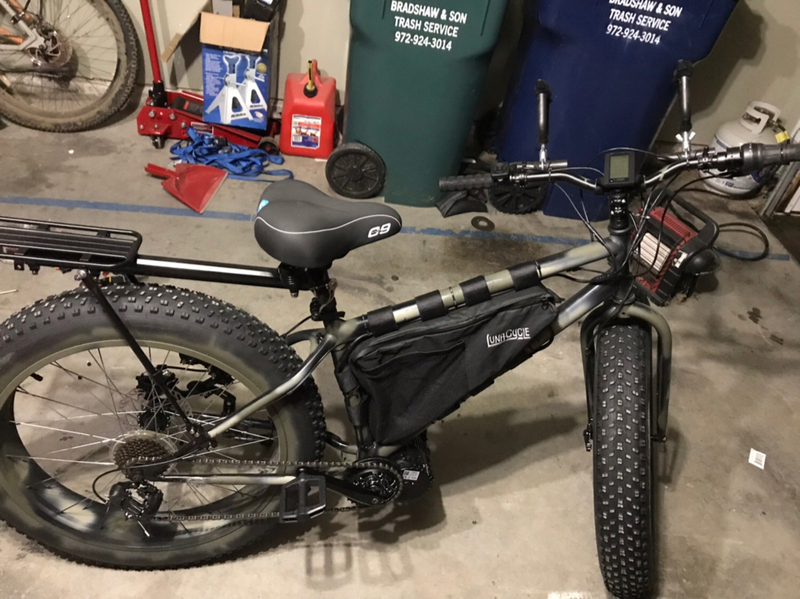 its the bafang bbshd 750w. which is programmed for 1500w. can be programmed up to 2500w and can run them as high as about 80v with right controller. has the upgraded lcd , programming cable and the wolf pack panasonic battery. i ordered a 28 tooth chainring ill add in a few days will give it insane torque. handles hills with ease though on stock chain ring. 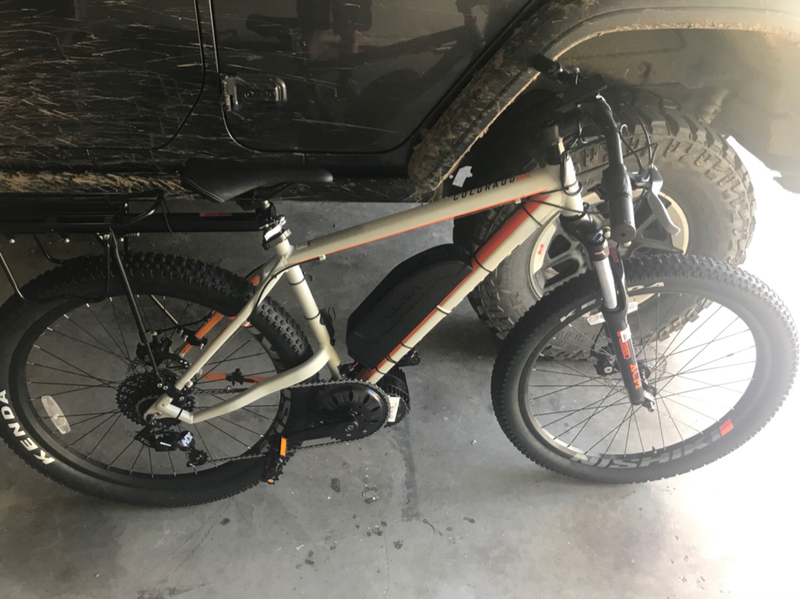 bike is DSG nishiki colorado with 2.75" tires. can use any donor bike. luna also sells those cyclone kits... they take a little fabbing sometimes but run at 3000W+ and are cheaper. i added the 100+ lb capable rear rack. 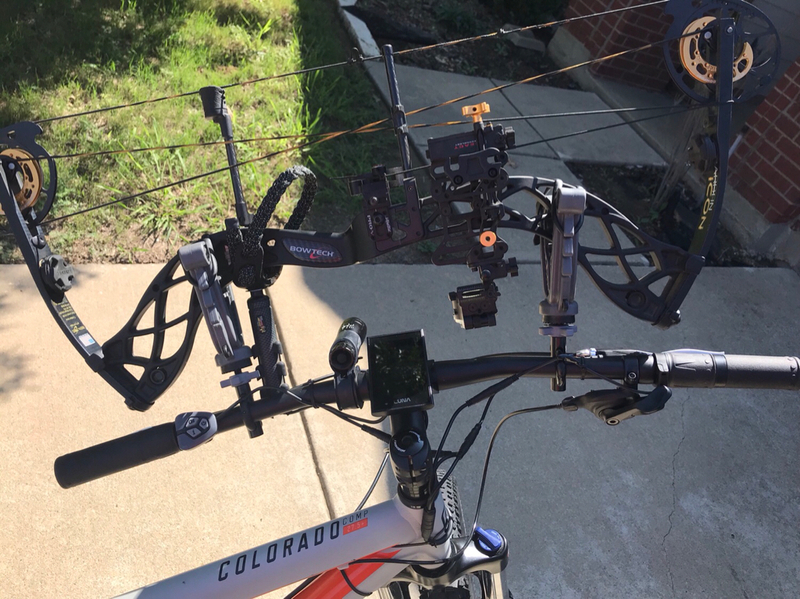 bow holders to the handle bars, and headlights not shown in pics. What was your total cost out the door? somewhere in the neighborhood of $1500 + the bike. This bike was about $400. Last edited by perow; 09-15-2018 at 08:53 PM. put 10 miles on it this evening after the rain stopped. 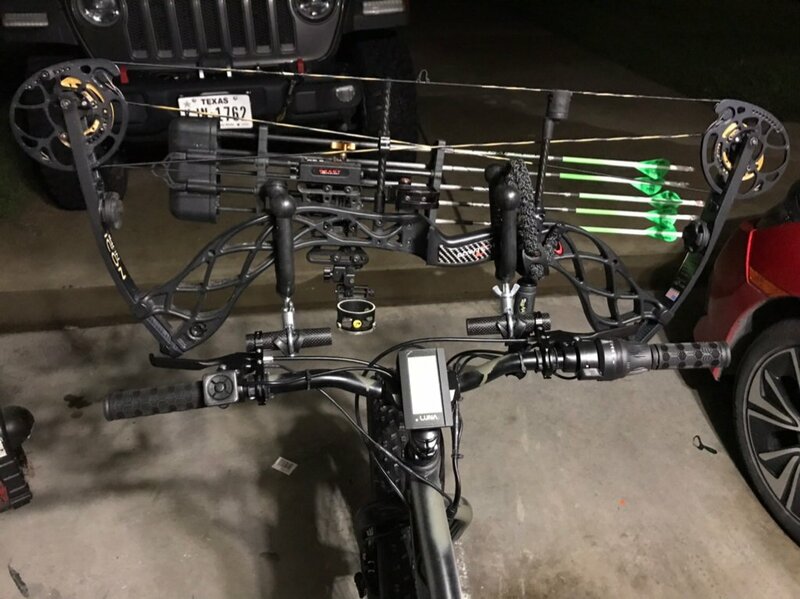 its a lot of fun riding and i cant wait to use it to access some hunting areas that were too far of a walk. rides like a silent motorcycle..at least i thought it did. took a wet corner at about 28 mph full lean and wiped out lol. first time ive skinned up my knee since i was a kid i think. I need to spend more time on public land close to the house. Lots of trails but very limited roads. ^^^ you have the perfect place to wear one out. Unless you want to walk 7 miles one way or navigate a boat in a 9 mile log jam that’s the only option! 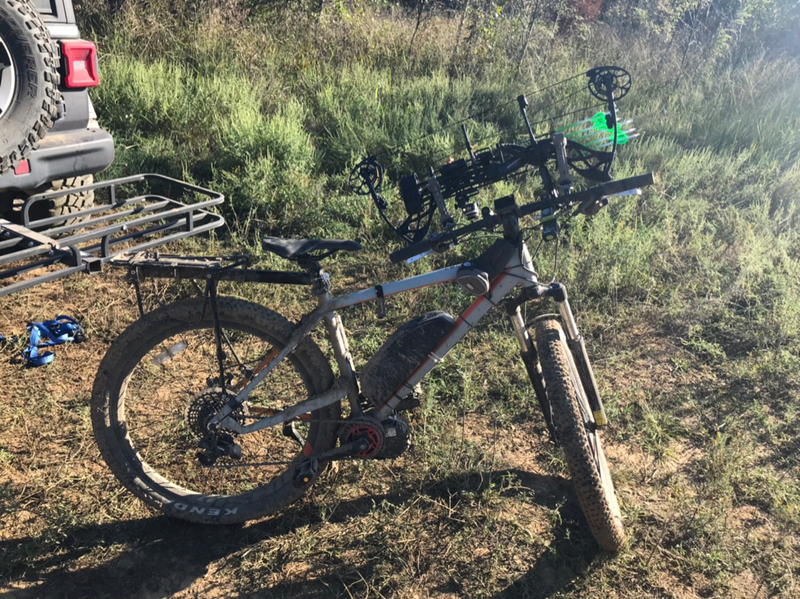 Can you use an e-bike on public land? I know bicycles are ok but once they're motorized...? supposedly on the federal level they only recognize motors over 750W as motorized. would need to check the regs for each area though. video looks awesome. No video of the wipeout? If anyone is watching just start pedaling till they gone lol. So how long does will this run on a charge? I kept all the parts off two of the little Power wheels jeeps. 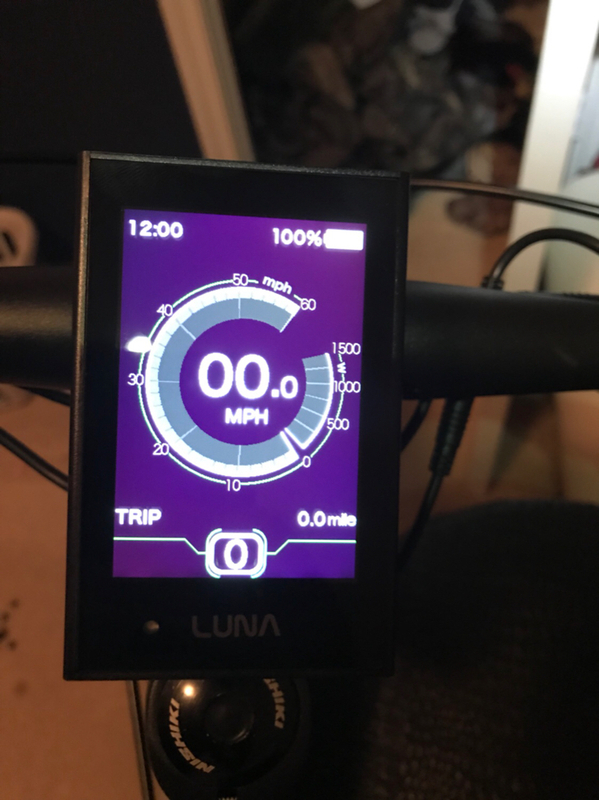 Now I have an idea for a new quiet electric hunting bike, complete with forward and reverse controllers. depends on battery used, terrain and whether you use throttle only or pedal assist. pedal assist is nice you pedal and the motor kicks in to help. range on mine is north of 40 miles....haven't ran it until dead yet but have put over 40 miles on it and still had quite a bit of juice left. That video had me grinnin'! had so much fun with the first one i needed to build another one. took the first one through some deep mud holes, creeks with about 12" of water, fields with chest high grass covering up boulders and fallen trees etc. So this one will come in much cheaper than the first. Last edited by wes122984; 10-16-2018 at 09:21 PM. Here’s the first one after my first hunt with it. What used to be a 25 min walk to stand is now under 2 min. Deer don’t mind it much. Several walked right by it. Park it 30 yards away. Bike 2 before converting. After stripping all the stickers off it. Looks good. I need to ride it. Crazy cool. Had no idea you could build these yourself. Where do you buy the parts? Really cool. 40 miles plus range is awesome. I cringed when you said 23mph and wet corner. 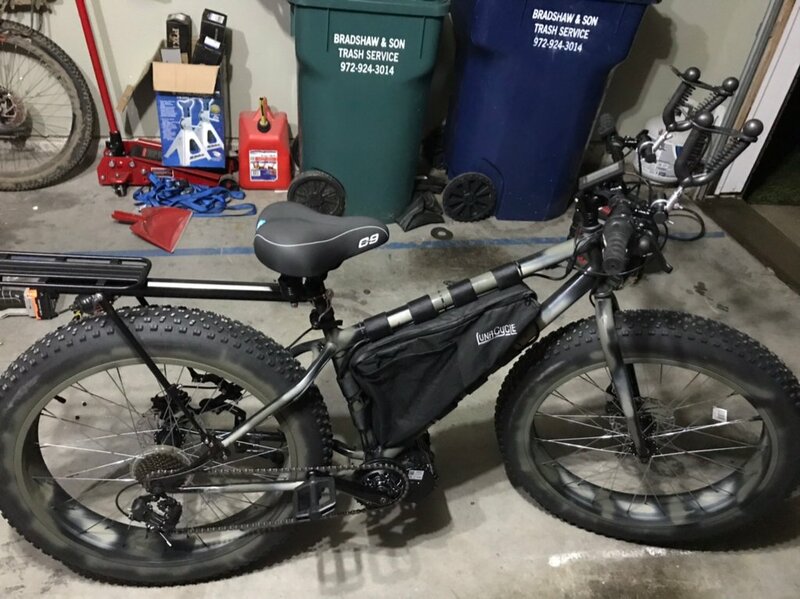 Bikesdirect.com has some really good customizeable cheaper fatbikes amongst other types of bikes. 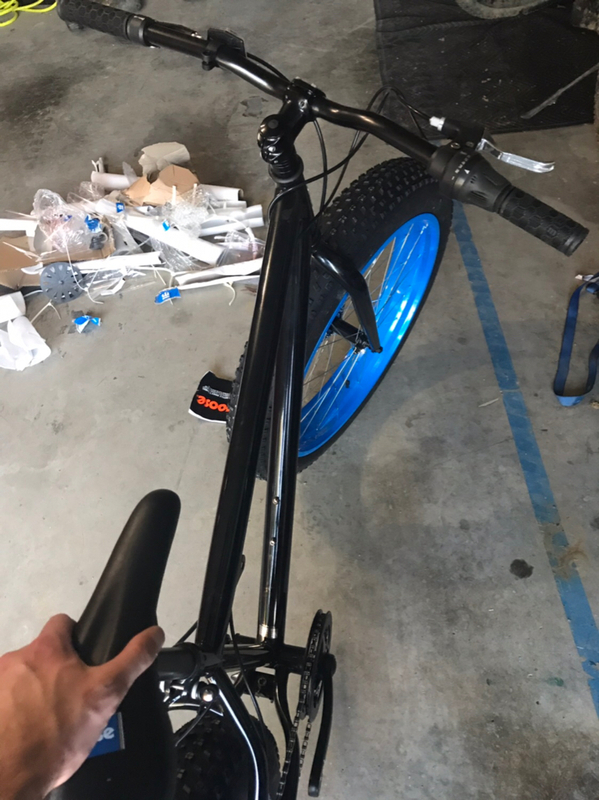 Ive a Gravity Fatbike for around $500...and I was able to build it online to fit my lanky frame. 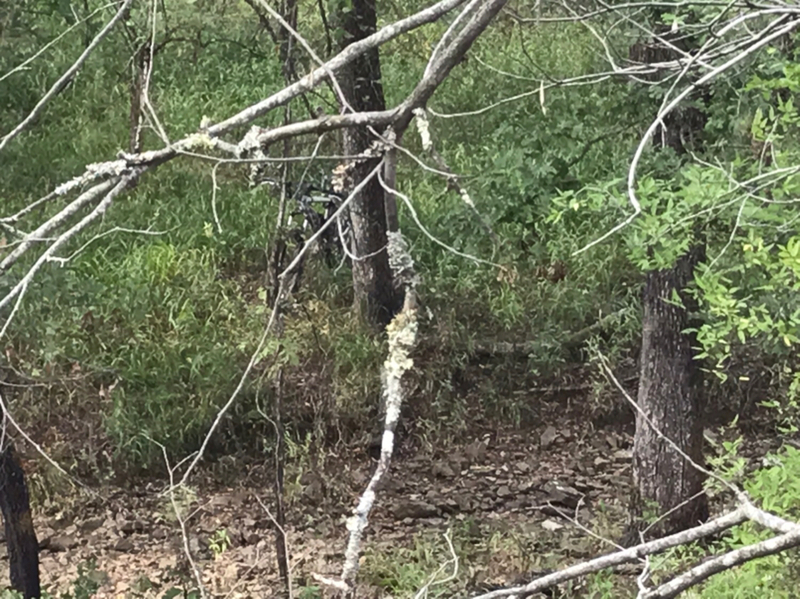 I like your rattle can camo. Well done. Thanks for sharing. I never could color between the lines I am way too lazy to properly prep etc lol. Figured it would rub off the tires soon. Just wanted to knock the shine off it. and yeah bikesdirect is awesome and would recommend it to anyone looking for a quality bike a good price. How do you know what Bottom Bracket Size to get? 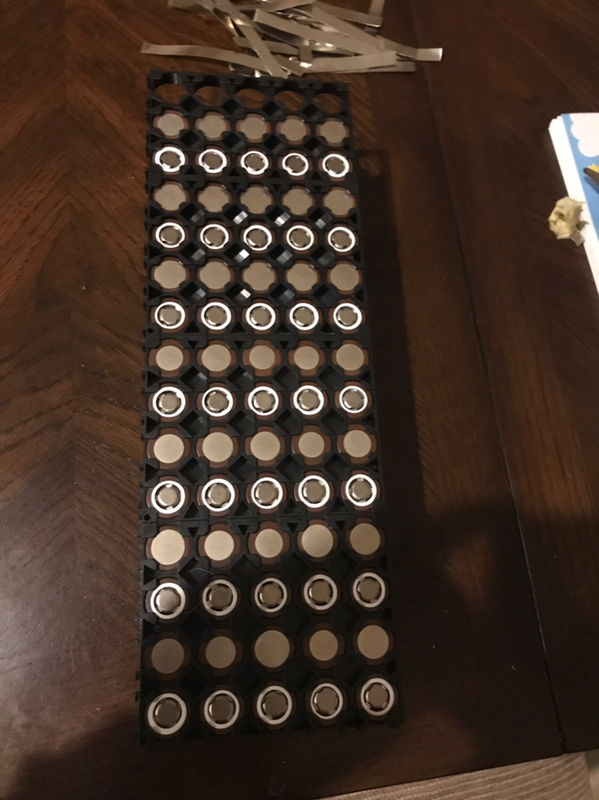 Also will you post how you are going to build your own battery? yes I will do the build in this thread. 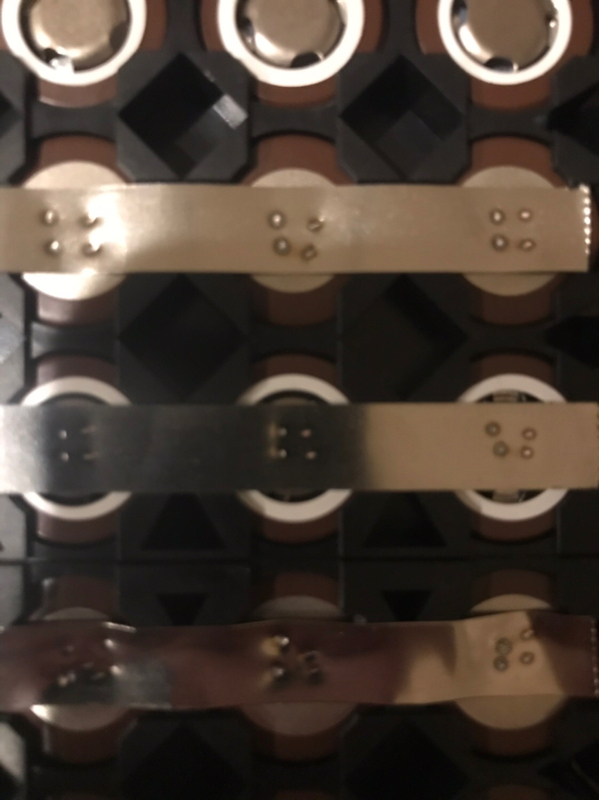 some kits are sold with a range and include spacers like 68mm-73mm and 73-100mm. goes up to 120mm which is what bike 2 really needed. I ordered a 100mm and ended up grinding the non drive side down to about 90mm to fit it. I have that same bike. That’s cool. I may have to copy! Had a chance to ride the original bike and can confirm this thing is the real deal and a blast. 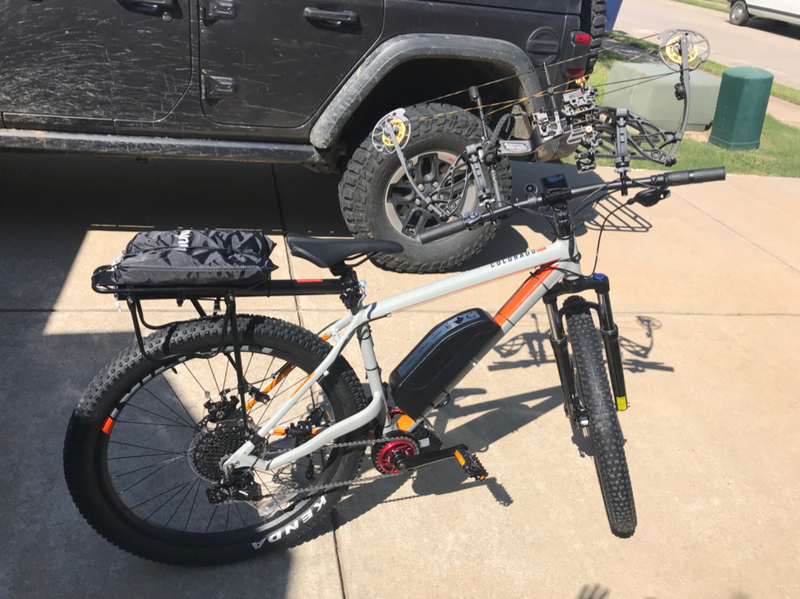 More capable than I thought and can’t wait to give the fatty a ride! Started on the battery build tonight. 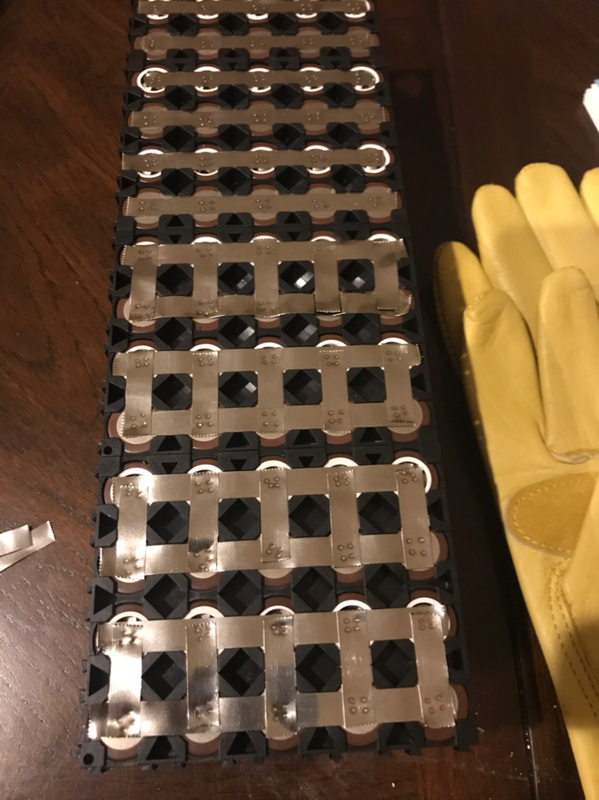 I had ordered a fancy 70 cell holder that somehow got lost in the mail. I’m too impatient to wait on it as I’m trying to have this ready to roll for this weekend. Charge them all up to same voltage and lay out the design. Rectangle/ triangle etc. 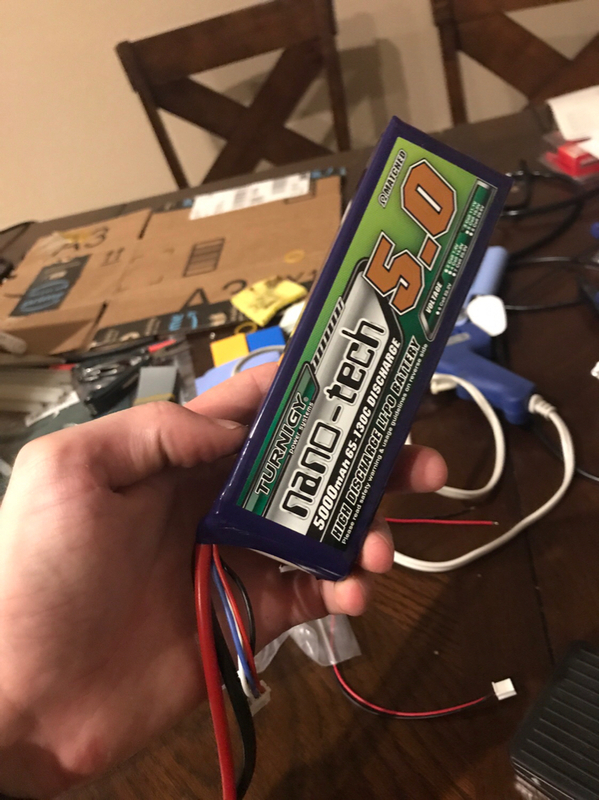 I’m doing a 52v nominal battery. 14 series 5 parallel. ( 14s5p). 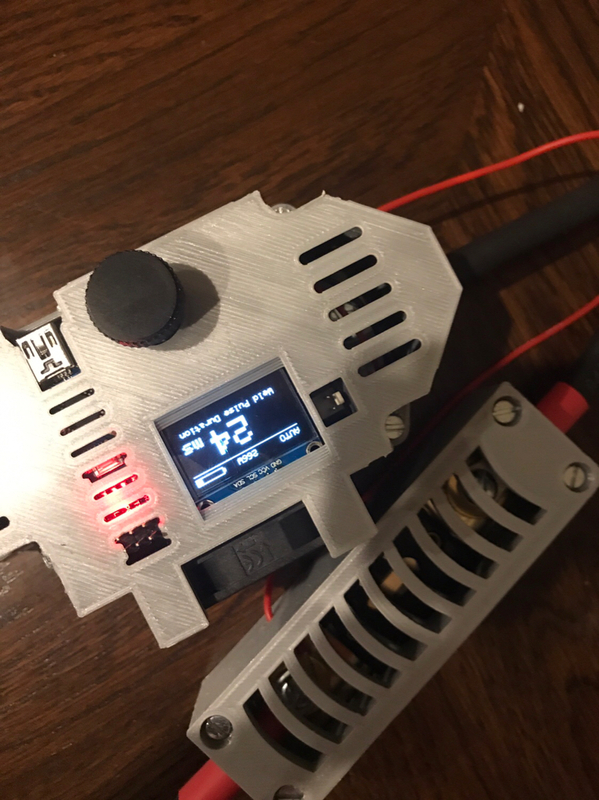 It will have 58.8v at full charge and will cut off at 42v. Each cell is 3000 mah so it will be 15AH. Started to spot weld nickel strips. That’s were I stopped. My spot welder battery needs charged. I’m using an Arduino spot welder . Basically a raspberry pi little micro controller programmed and hooked up to a 12v battery. Can use car battery or Lipo. I’m using a Lipo.